For all the years I have been doing Fake Disks for Band-in-a-Box, the number one request I have had was to compile disks for the New Real Books by Sher Publications. I immediately knew why. This book contains great jazz and fusion songs found nowhere else. 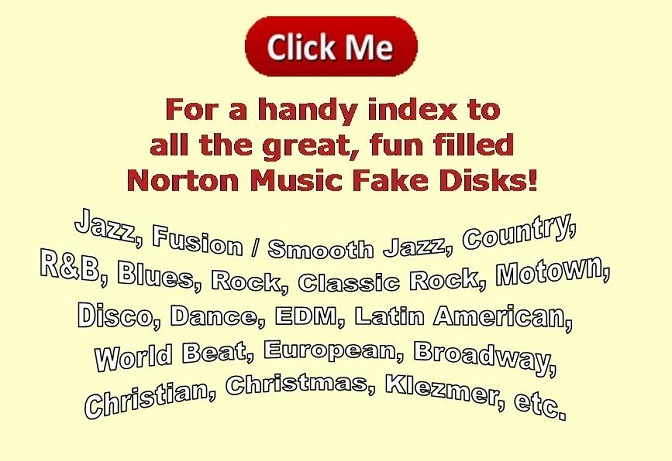 Although I publish fake disks for a number of other great fake books, they all have mostly jazz standards in them with a smattering of recent jazz songs. The Sher Real Books are just the opposite. They have mostly contemporary jazz songs with a smattering of standards in the mix. Until recently, I had no way to get the actual books to my customers, so I haven't worked on the New Real Books. Well all that's changed, and here is the first of 3 volumes of The New Real Book by Sher. If this disk sells well, I'll do volume 2 and volume 3 next. Here are some of the artists represented in this fantastic disk/book set: Miles Davis ... Bill Evans ... Thelonious Monk ... Wayne Shorter ... Freddie Hubbard ... Sonny Rollins ... Joe Henderson ... Cannonball Adderly ... Charles Mingus ... Wes Montgomery ... John Coltrane ... Bud Powell ... Charlie Parker ... Quincy Jones ... Ornette Coleman ... Jim Hall ... John Abercrombie ... Mose Allison ... Dave Frishberg ... Cal Tjader ... Airto ... Ivan Lins ... Richie Cole ... Al Jarreau ... George Benson ... The Crusaders ... The Yellowjackets ... Weather Report ... Sypro Gyra ... Jeff Lorber ... Dave Grusin ... Dave Sanborn ... Bob James ... Tom Scott ... Lee Ritenour ... Bob Mintzer... and many more!!! This book contains 239 songs from some of the greatest names in jazz.